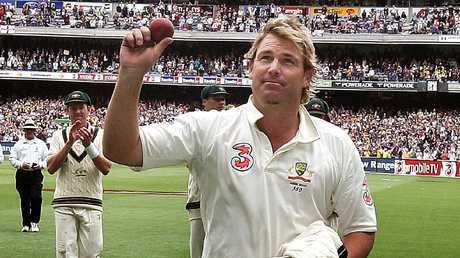 Shane Warne holds the Kookaburra aloft to celebrate taking five wickets against England in the 2006 Boxing Day Test at the MCG. 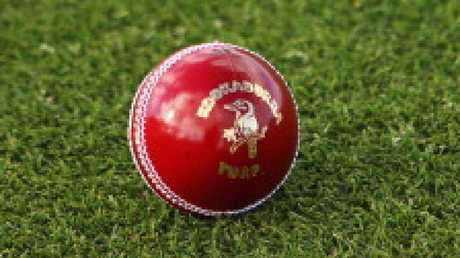 The Australian-made red Kookaburra ball could be turfed out of Test cricket if a proposal from the MCC world cricket committee is adopted. 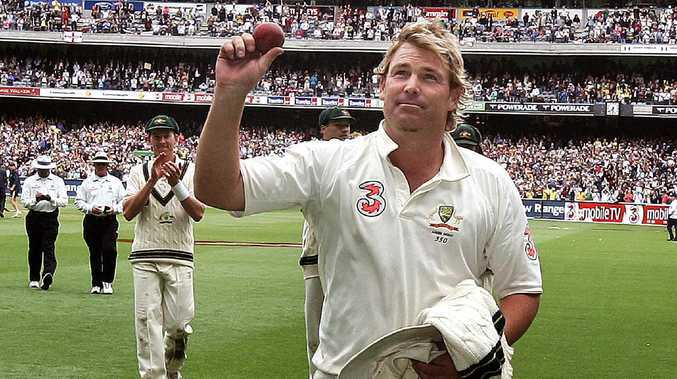 The committee, which includes Aussie greats Shane Warne and Ricky Ponting, has called for one "standard" ball to be used in Test matches around the world and the English Dukes has been raised as the preferred option. After meeting in India last weekend, the committee also formally proposed the radical idea of a free-hit for no balls in Test cricket and a shot clock to speed up gaps in play to "improve the spectacle" of the format. Recent history has shown cricket's law makers have been receptive to the committee's ideas. In 2017 its proposals to reduce bat sizes and give umpires more power to punish bad player behaviour were enshrined in the laws of the game. Currently the Kookaburra is used in Test cricket in seven countries, the SG ball is used in India and two different versions of the Dukes used in England and the West Indies. A third variety of Dukes ball is currently being used in the Sheffield Shield, for the third straight season, with mixed results in three rounds after the Big Bash break. There have been seven team innings of 150 runs or less, but also eight over 300. With Test cricket about to embark on its maiden Test Championship, beginning with the Ashes in August, the committee wants one standard ball in play. "I think it's a more equal playing field so you really do get (to find out) what is the best Test team in the world," Warne, a long-time advocate of the Dukes ball, said in India. A formal change is unlikely to be made before the Ashes begins and a Kookaburra spokesman said if officials were looking for a standard ball there was only one choice. "Kookaburra currently make a standardised ball .. it's adaptable to a range of conditions and allows all elements of the game to shine," the spokeperson said. "We know that other manufacturers make different versions of their ball for different countries and conditions which is contradictory of the concept of standardisation. "If there was a move to true ball standardisation we are most prepared for it." Any day/night Tests would still use the pink Kookaburra and all one day and Twenty20 internationals would continue to use the white Kookaburra. The International Cricket Council and member nations would have to agree on any changes. Committee chairman, former English captain Mike Gatting, said players would also be canvassed and they had spoken fondly about the Dukes ball. "They're going to play with it. And they've spoken out and they would like to see a standardised ball and it might well be a Dukes ball," he said. The committee has asked the Marlylebone Cricket Club, the custodians of the laws of the game, to carry out trials of the proposals.